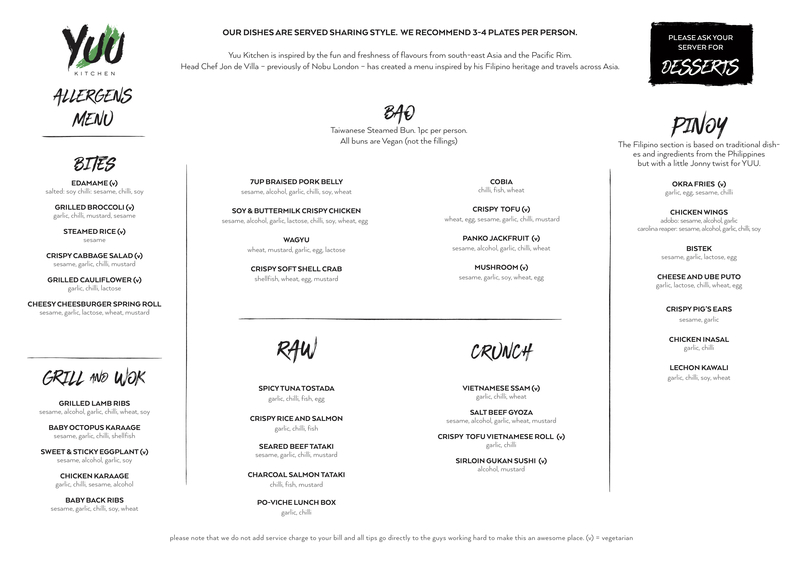 The Yuu Kitchen Menu can cater for most dietary requirements, please state any when booking and when in the restaurant. The kitchen team is able to modify most dishes and staff will also be able to provide recommendations for your requirements. Below is a list of allergens in the menu. The menu also offers some of the best asian vegetarian food in London from a variety of cuisines including Chinese, Japanese, Filipino and Taiwanese.